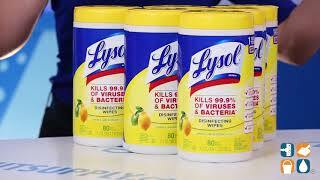 Lysol Antibacterial wipes are the perfect disinfecting accessory for any home or office environment. Measuring in at 7" x 8", each thick, pre-moistened wipes promise to kill 99.9% of viruses and bacteria on hard nonporous surfaces when used as directed. Direct from Lysol, the most trusted name in quality cleaning products and disinfectants, these quality Lysol antibacterial wipes are ideal for cleaning, disinfecting and deodorizing. 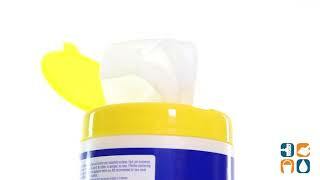 Use on the sink, toilet, bathtub, kitchen counter, stove top, cabinet, floor, or on appliances. Coming in a convenient, pop top container, this pre-moistened, disposable Lysol disinfecting wipes 6 pack is ideal for cleaning.